A number of injuries and fatal collisions have occurred at certain highway-rail grade crossings that are located immediately adjacent to highway intersections, driveways or interstate ramps. Some guide signage, pavement markings, and other traffic control devices present near or at the crossings in the past may have confused drivers and caused them to turn onto the railroad tracks, rather than at the nearby intersections, driveways or ramps. 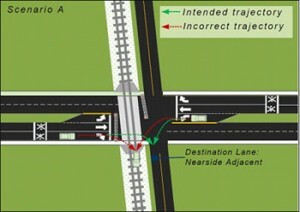 This research found the major contributing causes of incorrect turns onto railroad tracks includes (1) confusing signs and pavement markings near highway-rail crossings, (2) darkness and low visibility near or at highway-rail crossings, (3) following turn instructions from a GPS device onto railroad tracks, (4) skewed highway-rail grade crossings, and (5) driver distraction. Based on the findings from intensive literature review, historical crash data analysis, and field observations, a set of practical countermeasures was developed to prevent incorrect turns onto railroad tracks. The major recommended treatments for upstream of a highway-rail grade crossing include advance direction signage and striping. The recommended downstream treatments also consist of guide signs and striping. For the critical zone, treatments such as striping or dynamic envelope pavement markings, pavement gate markings, bollards, and illumination are recommended. Adequate illumination is essential for reducing the number of rail-vehicle crashes and stuck vehicle incidents due to incorrect turns at night. Finally, this research developed a simple and effective method to help quantify potential drivers that experience confusion or hesitation when they approach a highway-rail grade crossing. It provided a cost-effective method to evaluate the effectiveness of any implemented treatments to prevent incorrect turns onto railroad tracks. Download the final report. 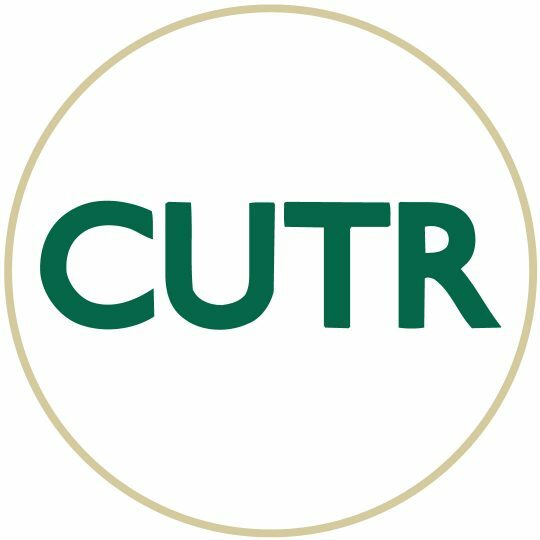 For more information, contact Pei-Sung Lin at lin@cutr.usf.edu or Achilleas Kourtellis at kourtellis@cutr.usf.edu.